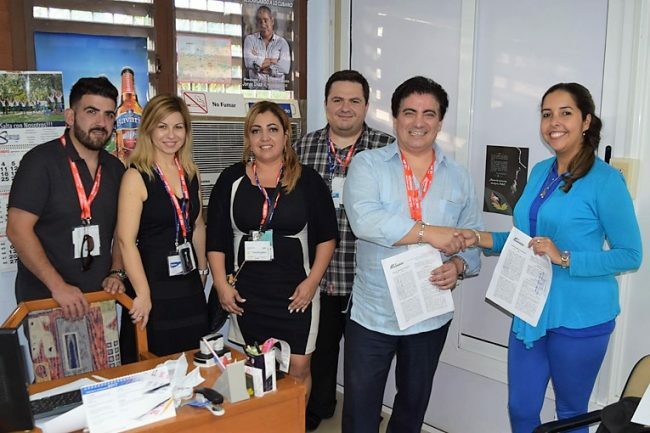 CARGOMAX INTERNATIONAL INC., a member and partner of the CCICC, has just signed a collaboration agreement with Agencia Transitaria Palco, a Cuban forwarding agency with more than 30 years of experience in the transportation of merchandise. Over the last three years, the Cuban government has brought together representatives from different Cuban shipping companies under a group to negotiate the cost of transporting all containers imported to Cuba from anywhere in the world. This group is called El Grupo Negociador de Cuba, which is made up of national freight forwarders and Melfi, the only 100% Cuban shipping company. The companies that are part of this group are EXPEDIMAR, TRANSCARGO, AUSA-ASAT and AGENCIA TRANSITARIA PALCO. This merger negotiation of more than 190,000 TEU (twenty-foot equivalent unit) has saved the Cuban government more than $ 40 million in 2016. CARGOMAX INTERNATIONAL INC. currently has contracts signed with EXPEDIMAR, TRANSCARGO and now with AGENCIA TRANSITARIA PALCO. The signing with Agencia Transitaria Palco is very good news for CARGOMAX INTERNATIONAL INC. logistics services provider of choice of top brands in a wide range of industries. Congratulations to the entire team of CARGOMAX INTERNATIONAL INC. and good continuation!